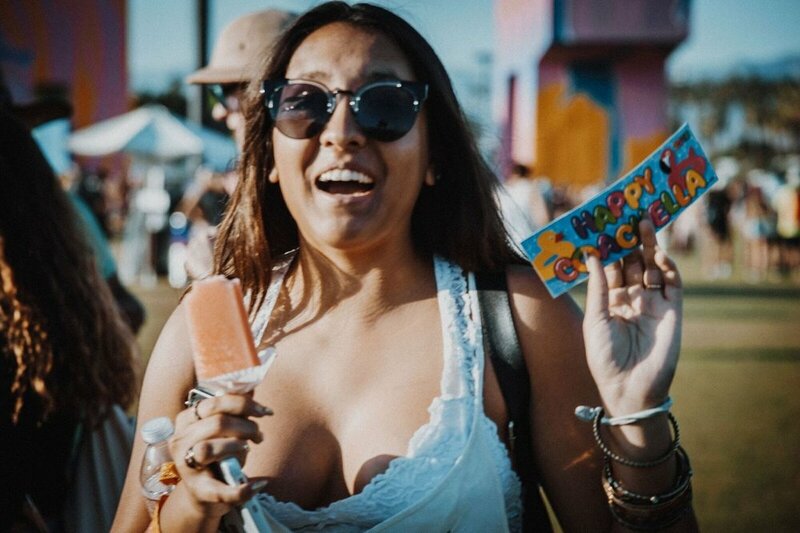 Happy Coachella was started by a friend, with the goal of getting Coachella festival goers to celebrate the festival by yelling "Happy Coachella!" to each other. Being an enthusiastic Coachella attendee myself, I volunteered to design stickers and temporary tattoos to pass out at the festival. The phrase caught on quickly, and OC Weekly covered my friend's story this year! This year's sticker was on the front cover of OC Weekly, with an article and history of Happy Coachella inside.